Amy has taught yoga for two decades including 13 years at Yoga Pearl and three years as an in-house teacher at Yoga Journal magazine in the San Francisco Bay area. She has been passionately involved in movement arts and sciences most of her life. Each of her classes offers a unique sequence of asanas with an overall design to facilitate a deeper knowledge of Self. Students inspire the direction of every class, where the overarching theme is the support of health and happiness. Classes with Amy are infused with mindfulness, playfulness, inquiry, and depth of technique. 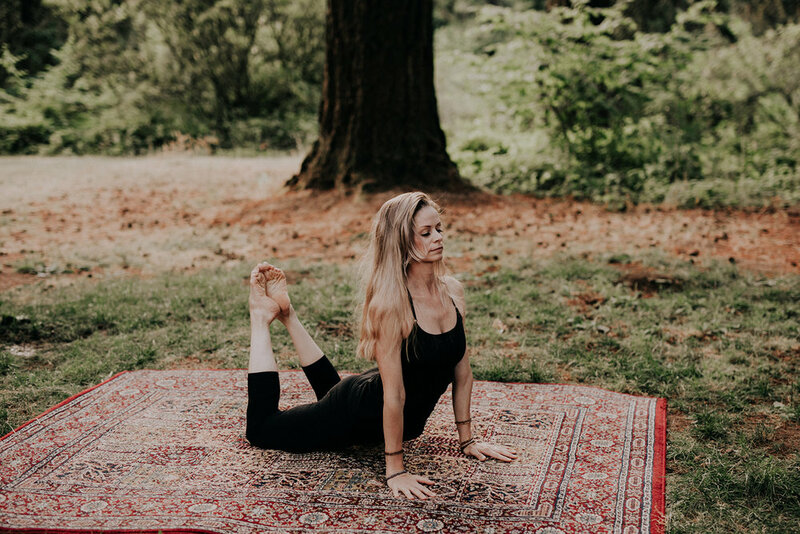 Blurring the lines of the many styles of hatha yoga taught today, Amy’s practice is primarily influenced by Iyengar Yoga alignment and therapeutics, and Ashtanga Yoga fluidity and transitions. Her primary training was through Piedmont Yoga Studio with Rodney Yee, Patricia Sullivan, and Richard Rosen. She has also studied with a number of the top U.S. yoga teachers. Amy minored in dance in college, has practiced Pilates, and has taught barre3 and group fitness. These disciplines also help shape Amy’s teaching. Amy is particularly interested in therapeutic alignment and helping people to do yoga in a way that is personalized. For most of her yoga career she has been teaching private yoga sessions, often with the focus of restoring balance after injury or illness. She has led yoga retreats nationally and internationally and has taught for teaching training programs. For five years she was the Yoga Member Coach at Portland’s Multnomah Athletic Club, and has earned the privilege of E-RYT-500 (Experienced Registered Yoga Teacher) through Yoga Alliance. Photos of Amy practicing yoga have been shown in books, billboards and magazines including Yoga Journal, Oprah’s O Magazine, and Martha Stewart Living. She is certified as a Clinical Ayurvedic Specialist and works as a registered nurse.